Lizzie Jones has taken the traditional crepe paper streamers that are used at all celebratory events to a whole new level with this wonderful collection of stamps! You can curve the border-style stamps on your blog to get a variety of looks. And just imagine all of the pretty colors! Heather Nichols has done it again with this truly awesome basic that everyone will need in their collections! The confetti style background is something that can be used in so many ways. The extra wide length allows you to cover A2 cards with just one impression! The sentiments use her own handwriting, just like the ones in her previously released set Noted. Love the idea and look of Heather’s one impression covers a whole width! Very cheerful! A very fresh look! I love anything with dots! Love the images! Love the celebrate one the dots are so cute. 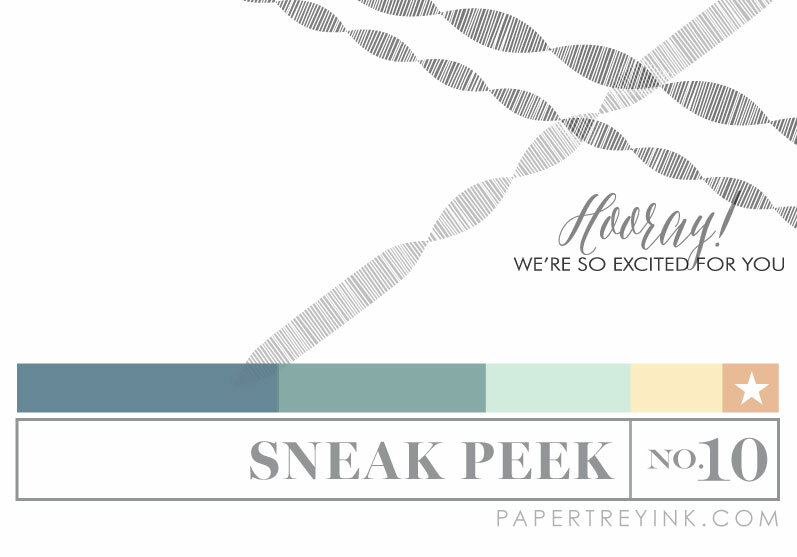 Ooooh am picturing that confetti in ombre colors….pretty! Ohhh, streamers will be so much fun! I really like the look of the confetti, too. These are so much fun! I love the streamers as well as the confetti!!!! Yay! The crepe paper streamers are really cute. I just cleaned my craft room and found a bunch of rolls that we never used. I would much rather store on stamp than a bunch of rolls LOL. Love the confetti background and streamers! 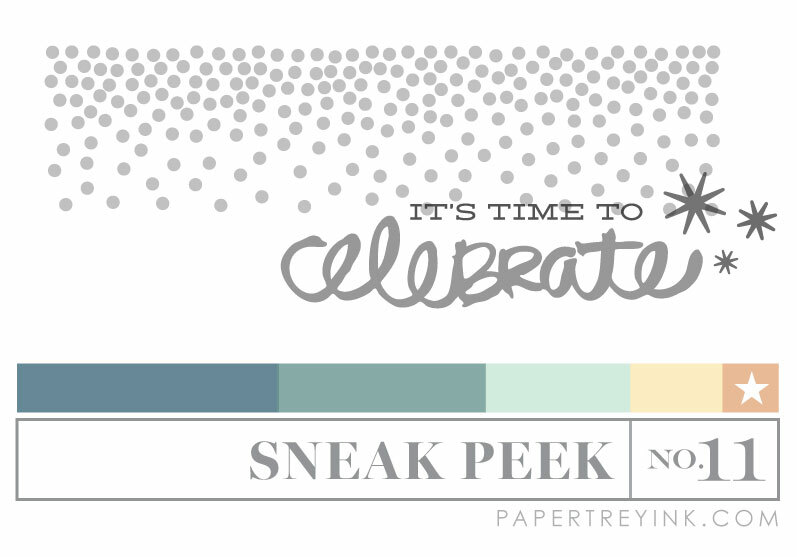 Love the dots and the streamers – the streamers have a great textured appearance. Streamers! What a great idea! Love Heather Nichols’ stamp set. Very awesome!!!!! Always, always ore things to add to my wish list!! Streamers and confetti! What a blast! Oh yes, these are both much needed basics for my stamp collection, can’t wait !! 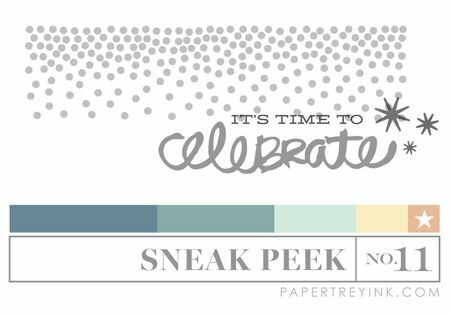 Anxious to see that you do with the Celebrate stamp-love the fact that it will take up a fair amount of space on an A2 card. What fun, time for a party! Oh my goodness. Confetti and streamers! We call it “fancy party” in my family. Can’t wait to see the rest of the release. Love both sets! It’s like two parties in one sneak peek! Great release this month! Can’t wait to see the rest of the goodies! Great idea to make the crepe paper streamers into a stamp set. LOVE Heather’s set !!! and streamers…WOW!!! The crepe paper streamer stamp looks like a lot of fun! Love those crepe paper streamers. Wow, these will certainly make a project come alive! I love the crepe paper streamers. They are so cute and look realistic. Oooh, what a fun stamp image. Really like both of today’s peeks. Definitely a favorite of mine so far….love the streamers. Could always use something new and fresh for celebration theme! I live for these miniatures I can not wait for the camper. I have all my xmas gifts already planned out, now another one to add.